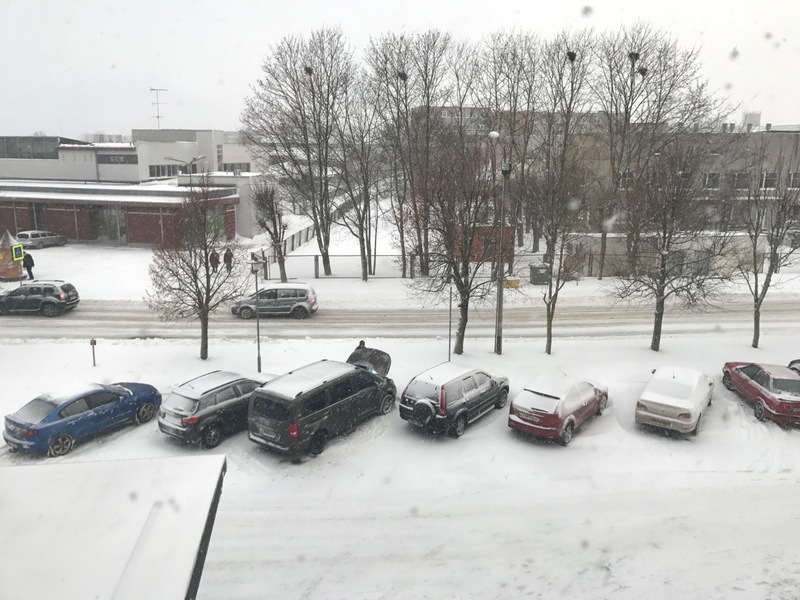 After a nice miegs (sleep), I looked out the window to see that more snow had fallen, but it didn’t look too terrible (famous last words). I went down to the free breakfast, and it looked promising at first, but it was somehow lacking some of the basics. They had these little pancakes, but there was nothing to put on them. What I thought was sausage gravy turned out to be lukewarm porridge. I munched on a couple of delicious pastries and drank the most American-style coffee I have had since I’ve been here. I talk about food a lot, don’t I? Then I cleaned off the trusty CRV and started my 20 Km drive to Rundale. The roads were bad. 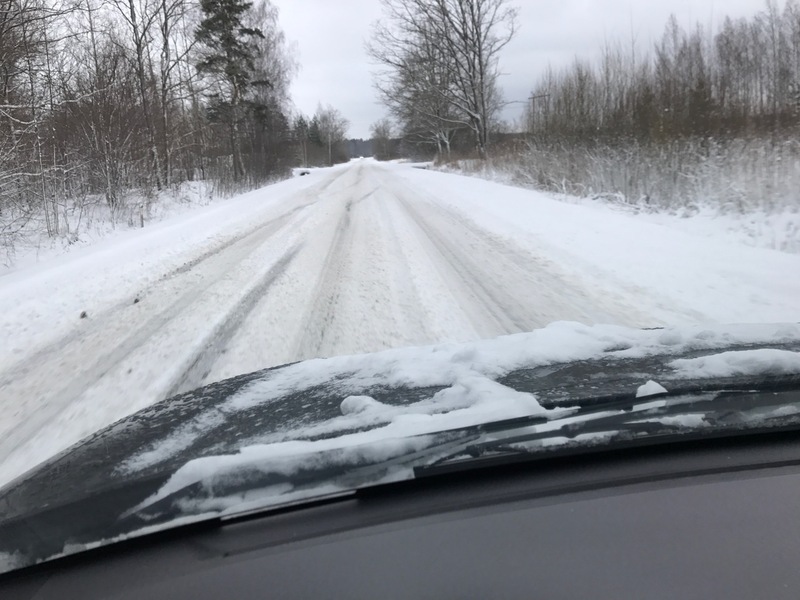 Once I got out of the city, it was pretty much unplowed for most of the way, and I just tried to keep my tires in the tracks that had been made by previous drivers. The CRV got me there. The palace was indeed still open, and even as I arrived, there were some tour groups showing up. 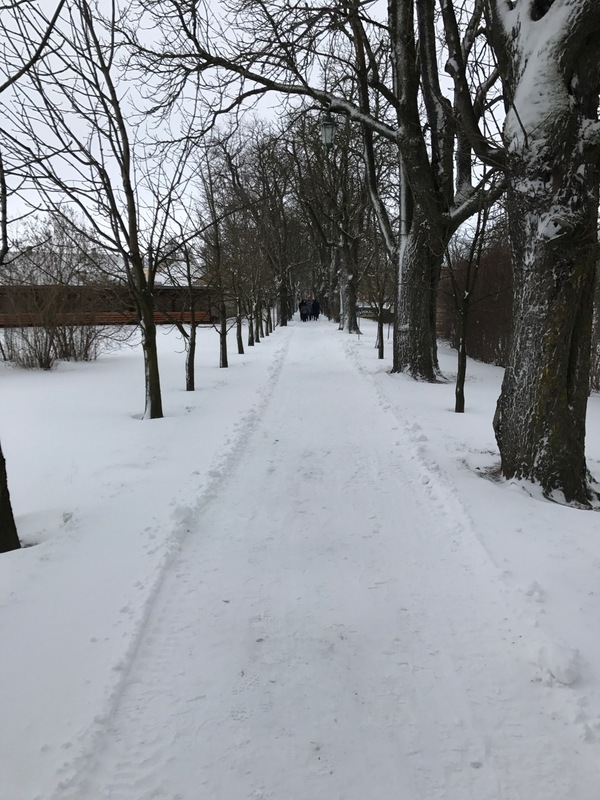 I tell you, Latvians do not fear snow. This place is much more of a “palace” than a “castle.” The intent is to impress rather than to fortify a strategic location, and as such, the style is much more posh and elegant. 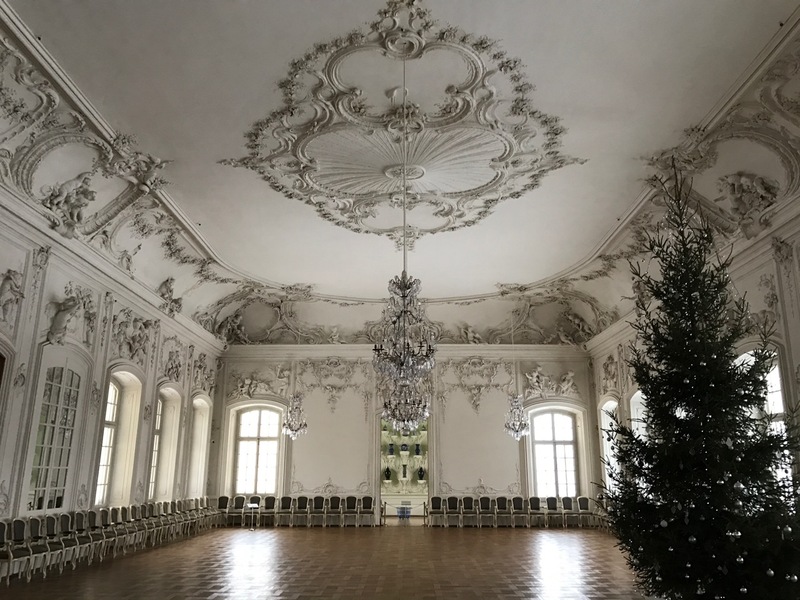 I was told that the inside is decorated in such a way to be indicative of what it might have looked like in the 1700s when it was inhabited by… well, according to the portraits inside… every single monarch, Duke, Count, and Duchess from Sweden, Russia, Poland, Livonia and all points in between. The history is so hard to follow. But it is beautiful, and there is so much art. My only complaint was that each room had about twenty paintings and they covered the walls from eye level up to the ceiling. They weren’t well lit, so it was hard to appreciate the works. Many of them were by unnamed artists, and they may not have been masterpieces, but I felt like taking more time to study the canvases. I think they had about as many paintings as the entire Joslyn crammed into ten square rooms. 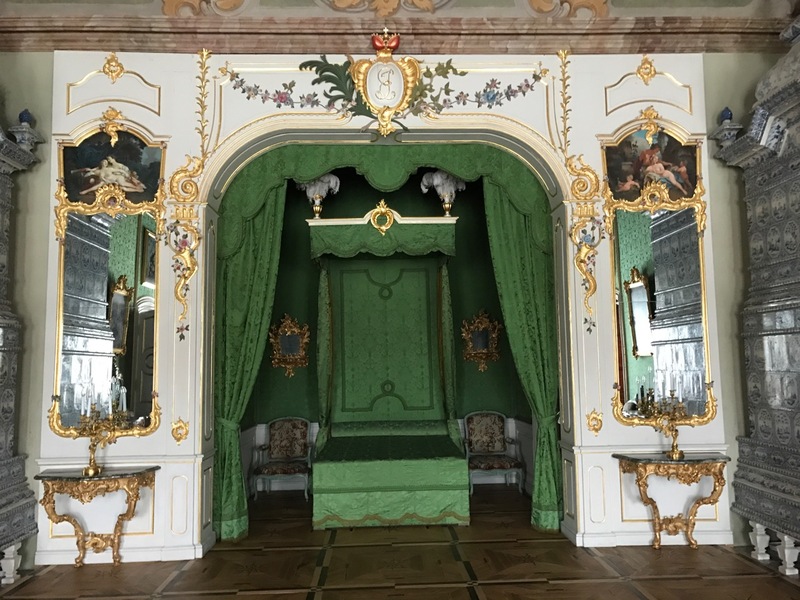 The furnishings and other amenities were much more plush than the stripped down castle in Bauska. Rooms were decorated completely to resemble how they might have been including things like the toiletries, desks, game rooms and the like. One room that really had it all going on was the Green Room. Maybe it’s just because I love the color green, but this room was stunning. The pottery and plaster work were also impressive. I tried to take some panorama photos, but my iPhone kept saying that it had to keep it moving when I was clearly keeping it moving. Each and every time I got past the 180 degree point, it would stop and yell at me. Stupid iPhone. But at least you can see these impressive Japanese and Chinese vases. Oh, and the French clocks scattered throughout the house. So cool. Most of the furnishings and works of art were imported. 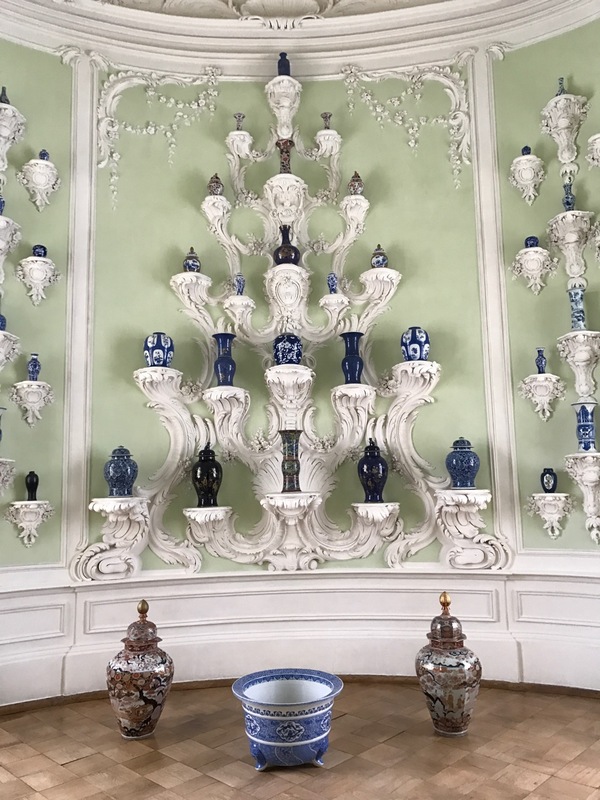 A few of the chandeliers were made in Latvia as well as some chairs. This palace did not have the mysterious charm of Bauska and Cēsis pils, but it is much more complete in terms of how the people living there might have actually had it set up. 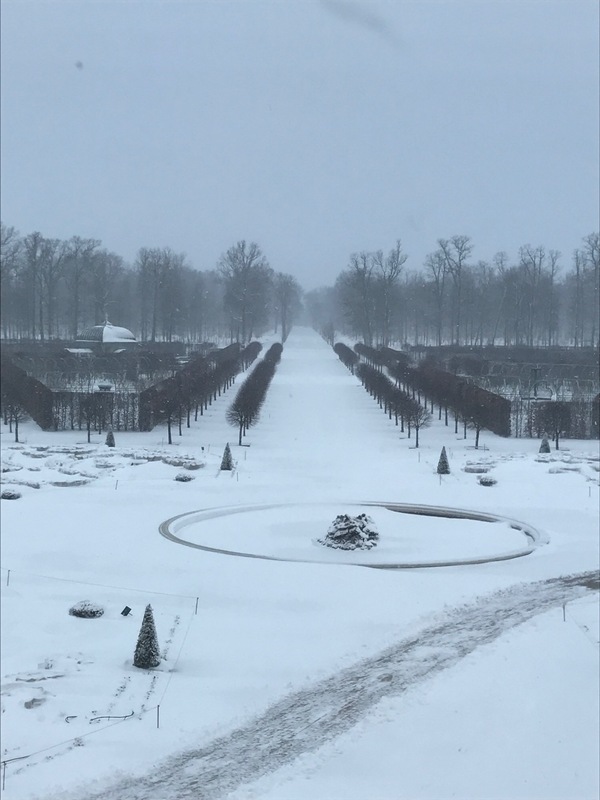 It also has an amazing garden and park all around it, but because of the weather, I wasn’t really in the mood to go strolling past dead rose bushes and leafless hedges. You can see what it looks like in the summer here. Edgar, what is her hand doing?